In what was described as the only path to the future in Mount Vernon, a chunk of the past will soon be getting the wrecking ball. A city panel voted Tuesday to allow demolition of the Eddie’s of Mount Vernon grocery store and other historic buildings at 7-15 W. Eager St. to make way for a $30 million retail and residential hub. 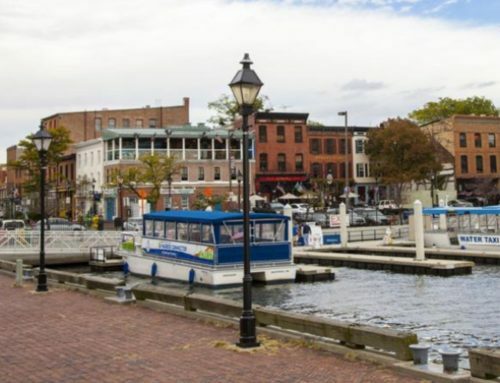 The vote by the city’s Commission for Historical and Architectural Preservation came after two hours of testimony, most of it describing the “crumbling” state of Mount Vernon, a beloved, aged and historic neighborhood a half-mile from the Inner Harbor. The CHAP vote underscored plans for the development by Dennis Richter, a businessman and developer who lives in Mount Vernon and bought the properties over the past four years through his company, 13 West Eager LLC. His wife, Michele, is president of the Mount Vernon-Belvedere Association. The vote by CHAP overrode a recommendation by staff members from the Department of Planning to save the block after it was deemed by panel member Larry Gibson as “a more global” outlook on saving the community than outlined in the letter of the law. To Gibson, a law professor at the University of Maryland, and eight other members of the 12-member panel, voting outside of the CHAP tenants that place historic preservation above development standards was urgent. Richter’s plans are not finalized for the development and he must return to CHAP in the coming months with a design. But the basics include underground parking for 50 vehicles, a new grocery of about 15,000 square feet and up to 100 apartment units in a building that could be eight stories tall. Richter told the CHAP panel that he needed its approval to demolish the block because the existing structures, built in the 1800s, were beyond saving and had been altered several times over the past. He provided a spread sheet from his lenders that showed saving the buildings for the redevelopment would not be profitable because of their size and condition, likely nixing financing because the profit margins were small. State Sen. Barbara Robinson, whose 40th District includes Mount Vernon and who lives in the neighborhood, testified in favor of the demolition. Richter’s plans for a new grocery that would more than double its size “is going to be the impetus to take Mount Vernon to the next step,” he said. Richter’s other projects in the community include restoring 13 W. Mount Vernon Place, 812 N. Calvert St., 202 E. Madison St., and 12 W. Madison. He appeared before CHAP last month, but was told to return with further data on why he needed to raze the buildings in order to make the project work. There was one group who testified against the plan to demolish the block: Baltimore Heritage, whose outreach director, Eli Pousson, urged CHAP to maintain its standards in preserving historic buildings in city historic districts. 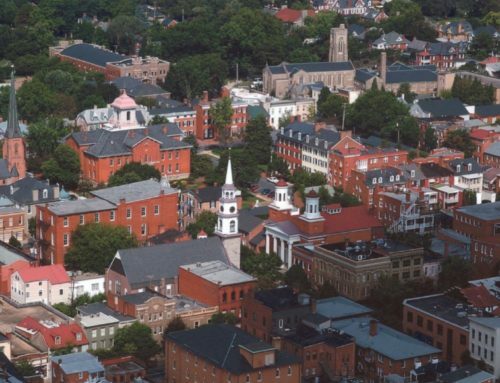 But the overall sentiment was to move ahead and in doing so, move Mount Vernon into a renaissance phase enjoyed by other city communities including Remington, Canton and Hampden by new projects. The CHAP vote specifies that Richter return to the panel in the near future with a design for the project for further review before demolition begins.